What is Separate Maintenance in Michigan? There are situations in which you know your marriage is not salvageable yet you and your spouse do not want to legally dissolve the marriage. This could be due to religious beliefs, tax purposes,health insurance purposes, or other personal reasons. 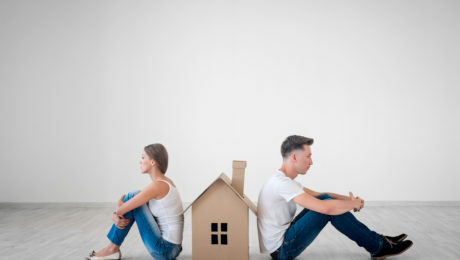 However, if you and your spouse plan to live permanently apart for an extended period of time, it is important to resolve several issues, many of which are highly similar to the divorce process. The court will either approve an agreement between two spouses or will make its own determination how these issues should be resolved. You will then have a legally binding separate maintenance order with which you and your spouse must comply. The only main difference from divorce is that you cannot legally remarry until you seek a divorce. Separate maintenance helps to resolve many issues for couples who do not want a divorce but plan to live separately. You also have the option to take a trial separation period, in which you live separately but do not officially have a legal agreement about property division or other matters. You should carefully discuss the pros and cons of separate maintenance versus a trial separation with a Southfield divorce attorney. At McGuigan Law, PLLC, we help people in a variety of situations, including those pursuing separate maintenance or divorce. We will help you understand your options and pursue the right path for you. Call 248.356.9100 or contact us online to discuss your situation. Does a Divorce Mean You Have to Sell Your House? Many married couples purchase houses and build a life in the home, especially for any children they may have. If you decide to get divorced, you may expect to lose some of your possessions, though will you have to lose your house? The answer to this question is different for each divorcing couple, and you should discuss the details of your situation with a divorce attorney in Michigan. In the meantime, the following is some brief information about how divorce can affect a family home in Michigan. Michigan divorce law requires that divorcing couples divide their property in an equitable manner.This does not mean that everything has to be divided 50/50, so there are no requirements to divide the equity in your house equally, which often requires selling the home. Instead, you can come up with an arrangement with your spouse that may allow one of you to remain in the home. This is especially preferable for children who might be attached to the home, the neighborhood, schools, or other aspects of the community. In many cases, you may be able to keep the home, as long as your spouse receives a larger portion of your other marital property. Some people forego their portion of retirement or investment accounts in exchange for keeping the home. Whether such an arrangement is possible depends on the nature of your property and assets with your spouse. Property division is never simple, especially when it comes to houses, business interests, and other complex assets. At McGuigan Law, we will ensure that you receive an equitable division of property in your divorce, whether or not that includes a family home. Call 248.356.9100 or contact us online to set up a meeting with an experienced Michigan divorce attorney. When many people want to end their marriage, they may want it to happen right away. 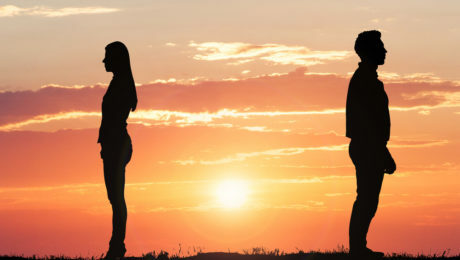 Unfortunately, there are a number of legal issues you must first sort through, as well as divorce requirements you must meet to obtain a divorce under Michigan law. The following are only some requirements for a Michigan divorce -to discuss your specific situation, contact our divorce lawyers today. Not just anyone can file for divorce in Michigan. Instead, either you or your spouse must have lived in the state for at least 180 days and in the county the divorce is filed for at least 10 days. While there are limited exceptions to the residency requirement, it will apply in most divorce cases. One spouse must file a divorce petition and serve it on the other spouse. 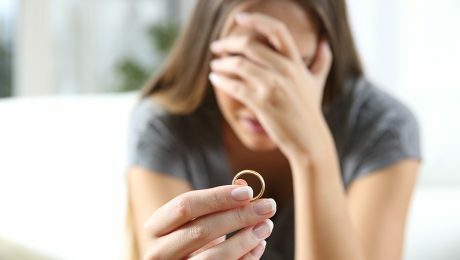 There are no fault-based divorce grounds in Michigan, so the petition must only state that the marriage is irretrievably broken to request a divorce. If you have no children with your spouse, there will usually be at least a 60-day waiting period before the court will grant your divorce. If you do have children, the waiting period may be six months. In many situations, couples can agree on these issues and submit their settlement agreements for court approval. If you cannot agree, you will need to go to trial so the court can decide them for you. If you are considering divorce, there are many steps you must take before you receive a final divorce judgment. Call the Michigan divorce lawyers at McGuigan Law, PLLC at 248.356.9100 or contact usonline to set up your free consultation. Will I receive alimony if I am a divorced stay-at-home mom? Stay-at-home parents make the noble choice of leaving their careers to be home with their children during their formative years. Any stay-at-home parent or spouse of a stay-at-home parent knows that raising children is perhaps the most challenging job of all. While most stay-at-home parents would not trade their time with their children for anything, the stay-at-home parent is particularly vulnerable in the event of a divorce. Stay-at-home parents, who are generally women, may not find it easy to enter the workplace after such a long absence and evolving divorce laws have made it far harder for stay-at-home parents to receive alimony. Our Southfield, Michigan divorce lawyers discuss the unique issues facing stay-at-home parents during a divorce below. Perhaps the greatest concern for divorcing stay-at-home parents is finances. As a stay-at-home parent, you have sacrificed your own career advancement for your family. While the decision to have one parent leave the workforce is a mutual one, it is the stay-at-home parent that ends up at risk of financial struggles after a divorce. Traditionally, alimony has been used as a means of evening the playing field for the stay-at-home parent post-divorce. Alimony consists of payments made from the payor spouse to the recipient spouse. Alimony can be agreed to in divorce settlements or ordered by the court. While alimony used to be awarded as a matter of course to the lesser earning spouse, now it has become harder to receive an award of alimony. Even if you are awarded spousal support, the award will rarely be permanent. 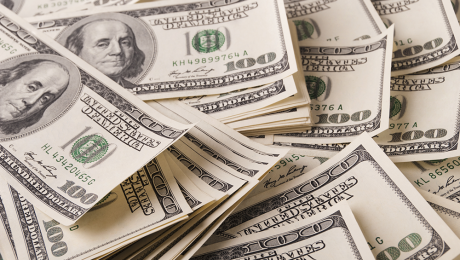 A Michigan divorce judge has the discretion to limit the length of the alimony award. Further, alimony can be terminated at any time that the other spouse can demonstrate a showing of change of circumstances. For these reasons, it is critical that stay-at-home parents retain the assistance of an aggressive divorce lawyer who will fight for their award of spousal support and fair division of property. What factors will a judge consider in awarding custody of a pet in a divorce? Up until now, pets in California, as in most states, were considered property and judges often struggled to determine who should keep the beloved family pet in a divorce. Where both parties wanted to keep the pet, judges would often consider who purchased the pet in awarding ownership. With few laws governing the division of pets, judges were left to their own devices when it came to pet division. Now, California has passed a new law that gives judge’s discretion to award custody of the pet after consideration of several factors, like who feeds the pet, who walks, and the like. Pet division in the state will now be more akin to child custody cases. 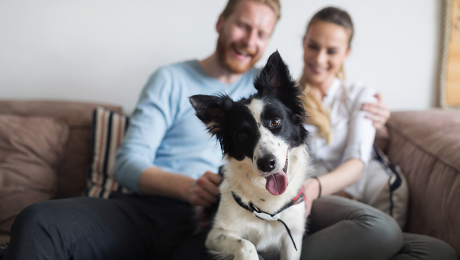 Our Southfield, Michigan divorce lawyers discuss the new pet division law in California and Michigan’s pet division laws below. Governor Jerry Brown recently signed into law a bill that outlines the state’s stance on pets during a divorce. Per the law, pets will remain as community property, but judges are given express discretion to weigh pertinent factors when awarding custody of the pet. Factors that may be considered include who traditionally cared for the pet, walked the pet, feed it, took it to the vet, and the like. Before passage of the law, judges each developed their own approach to determining who should keep a beloved family pet. Some judges even had the pet brought into court and placed between the owners to determine who the pet supposedly liked best. Now, pet division will function much like child custody, and hopefully the end result will be the fair award of custody of the family pet. Michigan law provides that pets are property in the event of a divorce. As property, judges are required to assign ownership of the pet to just one of the divorcing spouses. When two spouses cannot agree on who will keep the pet, judges will apply the laws of equitable division to determine who should keep the pet. California has now joined the ranks of a few other states who have taken the approach that pets should not be treated the same as other types of property. Time will tell whether Michigan lawmakers file suit and amend pet division laws in the state in the future. How are retirement accounts divided during a divorce in Michigan? Finances are generally the number one issue of contention in a divorce. When couples divorce, they will need to divide their hard earned assets. Some couples that have been married for years may own a home, vehicles, retirement accounts, a business, and savings accounts, among other assets. Dividing the property you accumulated during the marriage is rarely easy. With so much at stake when it comes to financial matters in a divorce, it is critical that divorcing spouses contact a divorce attorney for experienced legal assistance. Michigan law requires the fair and equitable division of marital property in a divorce. Per Michigan law, community property must be divided equitably, which may not be the same as equally. Community property is defined as property acquired during the marriage and will include items like a jointly purchased home, checking accounts, and savings. Excluded property could include money received through an inheritance or property owned before the marriage. In a typical divorce, one spouse will fight to keep the home so that they can remain living in it, while the other spouse will agree to take other assets in exchange for the home. While the division of the marital home in such a manner could be best for your situation, it is important that the spouse desiring to keep the home assess whether he or she will continue to be able to afford it. At times, the best option is to sell the home and divide the proceeds. Retirement assets will be considered community property to the extent that one spouse contributed to the account during the marriage. Splitting retirement assets in a Michigan divorce can be complex. The spouse who owns the account will want to establish the number of funds that were in the account prior to the marriage. Further, retirement assets should only be distributed after approval from the judge to avoid tax penalties. 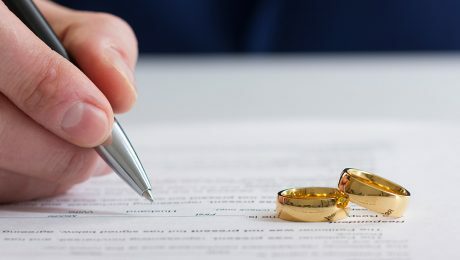 If you and your spouse entered into a prenuptial agreement before getting married, then this agreement should largely govern the division of the marital assets. A prenuptial agreement will dictate who receives what assets and who will bear the burden of what debts. With prenuptial agreements becoming all the more common, it is more likely that divorces in the future will involve a prenup. Contact a family law lawyer for assistance with the financial matters related to your divorce today. Why Might a Michigan Court Order Supervised Child Visitation? Michigan family law judges will always strive to act in the best interests of the child. Generally, it is considered in the best interests of the child to have a relationship with both parents. At times, however, a judge may determine that the child’s visit with one parent should be solely supervised. 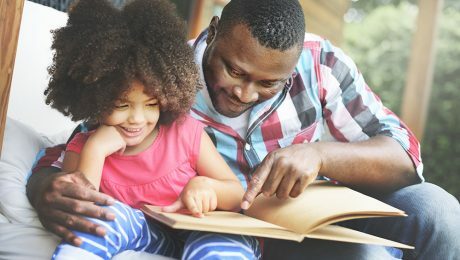 Supervised visitation may be necessary if a parent has an addiction problem, history of violence, mental illness, or another condition that could render unsupervised visits dangerous to the child. Our Southfield, Michigan parenting time lawyers discuss the need for supervised visitation and types of supervised parenting time awards below. A history of drug or alcohol addiction exists. Should the court find any of the above circumstances to be present, or have other concerns about leaving the child in the sole care of a parent, then the court may order supervised visitation. There are several possibilities when it comes to the type of supervision that could be ordered. First, the court could authorize visits with a family or friend supervising. This option will only be selected if the court feels the parent does not present an immediate danger to the child. With this option, the court can order that the supervisor remain in the room at all times or maintain visual contact during the entire visit. Another option is agency supervision. Agency supervision is the most restrictive, allowing the parent to spend time with the child only at a family services location. The parent will be subjected to strict scrutiny, and only allowed physical contact should the child approach on his or her own. This option is reserved for cases where the parent presents a serious risk to the wellbeing of the child. Alternatively, the court could order visitation take place at a therapist’s office. There, the therapist can assist the parent and child to build on their relationship. Parents awarded only supervised visitation will have the ability to request modification of the order once they can show resolution of the circumstances that lead to the court’s decision. A family law attorney can assist you in achieving the strongest parenting time arrangement possible. How can a divorce attorney ease the stress of my divorce? Divorce is a life changing experience. While none of us imagine getting divorced as we say our vows, the reality is that half of all marriages today end in divorce. Divorce can be a complex process, and while you are going through it, the end result may be hard to see. The reality is that you have the power to make your life post-divorce whatever you want it to be. Follow some simple tips to make the divorce process as pain free as possible so that you can start your life anew. Hire a divorce attorney you trust: Your divorce attorney will play the single most important role in lessening the pain of your divorce. Your attorney will serve as an intermediary, trusted advisor, and defender of your legal rights. A strong and experienced attorney will allow you to achieve the best divorce outcome possible, which will start your single life off on the right foot. 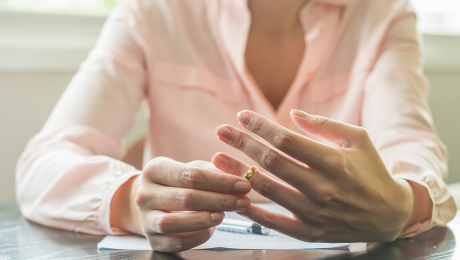 Negotiate for what you really want: Negotiating for the division of your marital assets with your soon to be ex-spouse can be both stressful and painful. To ease the tension, it is wise to enter into negotiations with a clear sense of what you really want to achieve. Make a list of those assets you need to end up with post-divorce, those you want, and those you can do without. Having a clear visual of your divorce goals will empower you during negotiations. Take the emotion out of negotiations: Divorce often involves powerful emotions. It is important to acknowledge your emotions surrounding the divorce and allow yourself to talk to someone you trust about how you feel. However, setting emotion aside during the negotiation process can help you to achieve your goals with minimal stress. View negotiations as a business process and rely on your attorney to guide the legal proceedings. Keep the end result in mind: As you wade through the divorce process, keep sight of your ultimate end goal. Know that whatever divorce agreement you enter will continue to impact your finances and life for years to come. Never agree to something you are not comfortable with, and have your attorney closely review your divorce settlement agreement before signing. Your next chapter starts today. Contact our Michigan divorce attorney for assistance with your divorce. Does America need a divorce test? Jiangsu, China’s eastern province, recently adopted a so-called “divorce test” through the civil affairs department. Divorcing spouses in the region must now complete a series of questions when they apply to divorce. The questions are aimed at gathering whether the couple may still have hope to continue the marriage. In adopting the divorce test, Jiangsu officials are hoping to stop the rising rates of divorce in the country. What is your best memory from the marriage? How many times have you and your spouse traveled together? The exam is scored, with those who receive a 60 or above deemed to still have hope. Couples scoring below 60 are told that the marriage is indeed about to break. The hope is that by reflecting on these questions, couples may take an additional moment to recall the good of the marriage and potentially reconsider the divorce. After internet criticism, the Chinese government clarified that the test is completely voluntary. Thus far, most couples have refused the test and the few who completed it continued with the divorce. Rates of divorce in China have been on the rise since 1995. Last year, 3.4 million Chinese couples filed for divorce, up from one million in 1995 and just 319,000 in 1979. Chinese authorities have expressed concern over the breakup of the marital unit, and the divorce test is just the latest attempt of the country to quell rising divorce rates. Should the Divorce Test Be Adopted in the U.S.? Like China, America continues to grapple with relatively high divorce rates. While our divorce rate has remained fairly stable in the past few years, it continues to hover near 50 percent. Accordingly, some may wonder whether we need a divorce test or something like it. Judging from the poor response in China and lack of effectiveness of the test, the divorce test may not be the answer. One could surmise that once couples get to the point of filing for divorce, a set of questions is simply not enough to change the outcome. 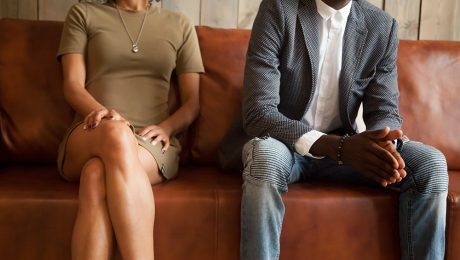 Rather than attempting to stop a couple set on divorce from ending their marriage, perhaps couples should instead enter marriage with additional counseling. 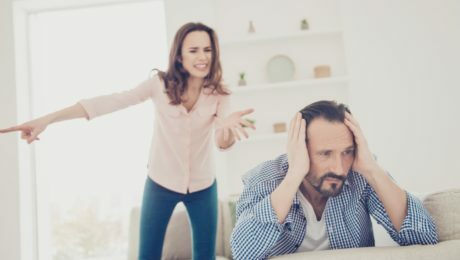 Marriage counseling can help couples to head off marital issues before they happen and effectively resolve marital disputes so that fewer marriages reach the point where one or both couples want out. Who is responsible for repayment of student loans post-divorce? Over 44 million people across the United States have student loans, according to the New York Federal Reserve. The total student loan debt as of 2016 was $1.31 trillion and this number grows annually. When most of us take out student loans, we never consider how they could be affected by a divorce later in life. If you are one of the millions of Americans with student loans, read on to find out more about who is responsible for student loans and how they might be divided in a Michigan divorce. Who is Responsible for Student Loan Repayment? Under Michigan law, all assets and debts acquired during a marriage must be distributed equitably or fairly in a divorce. Fair and equitable does not necessarily mean 50/50. Rather, a divorce judge will take into account the contributions of each spouse, length of the marriage, outside assets, and much more in reaching a fair division. The first step in determining liability for a student loan is to assess whether it is separate or marital property. If you incurred the student loan obligation before getting married, the debt will generally be considered separate property. In a divorce, it will remain your separate property, unless your spouse agrees to a different arrangement in a valid divorce settlement. If, on the other hand, the student loans were taken out during the marriage, then the question of liability becomes more complicated. Division of student loan debts incurred during the marriage will require the court look at who paid the household expenses, who benefited from the debt, and whether the non-borrowing spouse offset the debt through other contributions. One factor a divorce court will heavily weigh is for what purpose the funds were used. While normally student loans cover educational expenses, they may also go towards living expenses, which may support repayment by both spouses post-divorce. Further, a court will look at whether the borrowing spouse obtained a degree during the marriage. Professional degrees acquired during marriage may be considered marital property, making the loan then marital debt. Student loans often become a critical issue in a divorce. Repayment of these loans can be negotiated during divorce mediation or brought before the court. Contact a divorce attorney for more assistance with protecting your rights during a divorce.